Magnetech Engineering Services, Inc. is a proven magnet service resource for MRI imaging centers, hospitals, cryogen companies, and management companies throughout the United States. We treat our customers like we would want to be treated. When each job is finished, our customer’s expectations are exceeded in all ways possible. The minute your service call is received, it begins to get top priority. We feel the urgency of your service need as if we owned the MRI system ourselves and immediately put all our resources to work on your behalf. Your scanning schedule is important and shouldn’t be interrupted for service, so we schedule our work when your scanning is complete. And we NEVER ask you to pay more for us to work after hours. No two magnets are the same. We get to know each magnet and its particular characteristics as we perform the service needed. From this approach, a profile is formed and referenced for each magnet. We view each service call as unique and work to do what is best for each situation. We find out what the service needs are, what the job requires, what the site considerations are and what is expected by the customer. Then we do our best to match our service to each of these areas. Magnetech is proud of being the oldest independent service company in the MRI cryogenic industry that is still autonomously serving the radiology industry. We have been working with magnets since the “gas guzzling” days before coldheads when liquid nitrogen was the only way to help keep the liquid helium at required kelvin temperatures. Our MRI service has been seasoned through the years to guarantee an expertise that is knowledgeable, reliable, and lasting. 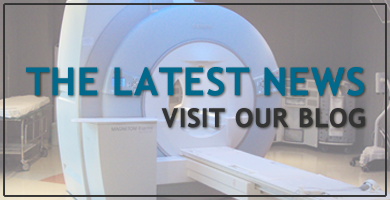 Our medical engineering professionals have expertise and experience with all types of MRI magnet manufacturers such as GE, Siemens, Picker, Philips, Toshiba, and Oxford. Safety procedures and up-to-date techniques are incorporated in all preventative and reparative maintenance. We have worked with MRI magnets for so many years, that we are comfortable and familiar with the different situations that could arise and are able to handle them well. "With their instant solutions and genuine care, Magnetech provides ultimate peace of mind to customers within the high demand industry of MRI. Integrity, alacrity, and professionalism are what come to mind when I look back on my 22-year relationship with Magnetech"